Countless games are playable over a Local Area Network provided you can pull through the hassle of actually establishing a working connection. This guide will attempt to make the process quick and painless for beginners. For simplicity’s sake, I’ll show you how to create a LAN connection between only two computers then explain how to add more machines into the fold. At least two computers, each one with a clean installation of Windows XP and fully compatible Network Adapters. First and foremost, make sure that each one of your network adapters are correctly installed and configured on every system. 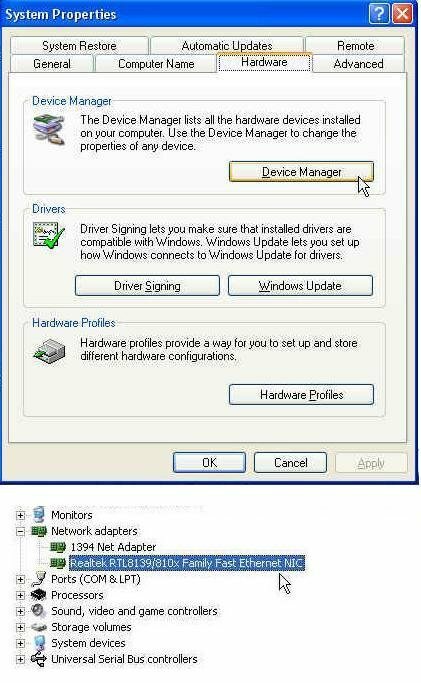 To do this, open Device Manager (My Computer / Properties / Hardware Tab / Device Manager) and left-click to lower the ‘Network adapters’ branch where you should see the name of your network card model. After connecting the two computers, open Network Connections ( Start / Control Panel / Network Connections). A window with all your available connections will open up. You should now have an up-and-running network connection! Double click on your Local Area Connection to see what’s up. Here you will notice your IP Address. 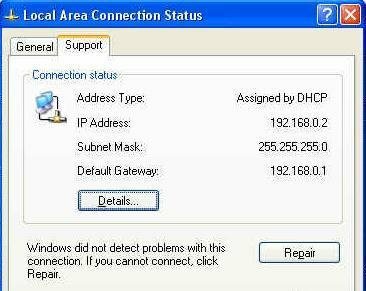 This IP Address is specifically assigned for your Local Area Network by a Windows service known as DHCP. Your actual IP may differ from the one seen in this screenshot. Now we can assign a static IP to each computer. We’ll start with Computer 1, which should be connected to Port 1 on your router as shown before in Step 3. Open Network Connections ( Start / Control Panel / Network Connections ). Right click on your Local Area Connection and select Properties. DNS is unessential for a LAN connection so we’ll leave it alone. Now switch to Computer 2 and type in the following values. You’ll notice how the final value of each IP is used to identify every computer in the network. 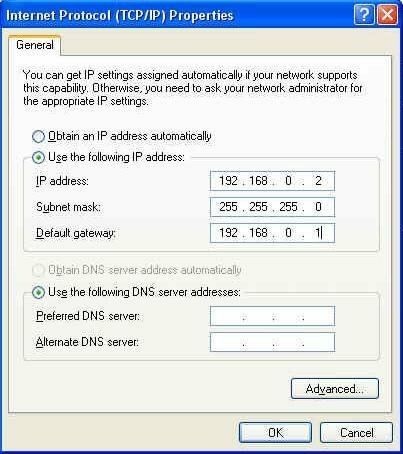 Change the IP Address in the same manner on any other computer while leaving the default gateway and subnet mask alone. eg: Computer 3 would have an IP of “192.168.0.4” while Computer 4 would have “192.168.0.5” and so on. This will enable you to add multiple machines to the network. 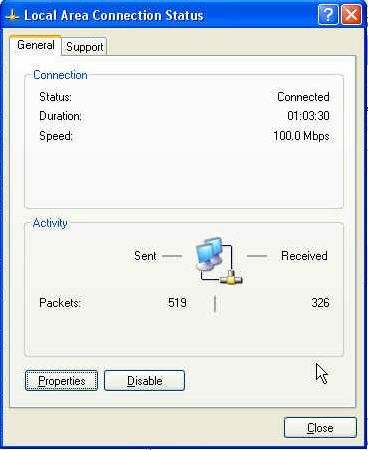 Windows uses a Firewall that has a nasty habit of blocking multiplayer LAN-based games. By default, a pop-up window will alert the player when this happens. 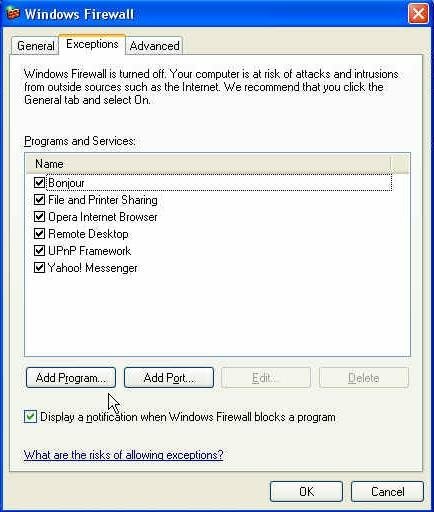 To fix the issue, open Windows Firewall (Control Panel / Windows Firewall) and switch to the Exceptions tab. Click on Browse and select the games you wish to play over a LAN connection. This must be done on every computer for every game in order to make them playable. If, however, your computer network is working offline and use adequate anti-virus software, you might even consider shutting down Windows Firewall on each system for the duration of the gaming session. This section is non-essential for LAN play and may be skipped entirely. Since this may benefit player who wish to transfer files between computers, I thought I’d write it up anyway. 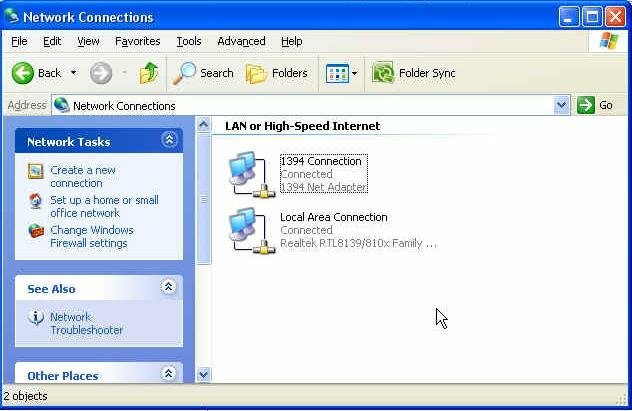 Right click on any Local Disk whose contents you wish to share over a network. Select Properties and switch to the Sharing tab. 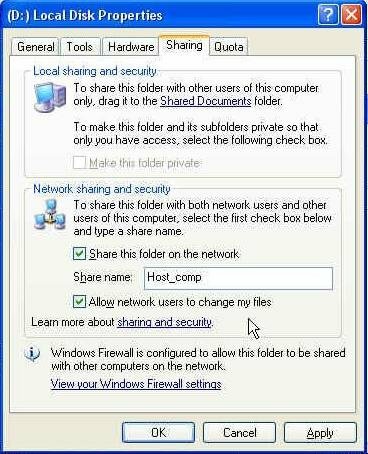 Check “Share this folder on the network” and “Allow network users to change my files” and write in a proper Share Name. Select “Just enable file sharing”. Now your HDD partition will be accessible to other computers. From where exactly? Connected users will have to open My Network Places ( Desktop / My Network Places or My Computer / My Network Places). From there, select View Workgroup Computers. It might take 5 or 10 seconds before shared files are displayed. After that, it should be conveniently easy to copy, modify or move files between computers. The same concept applies to printers, fax machines and scanners. This list will be extended over time. Q: My LAN Connection is working but I can’t play some of my games! A: Which games are you trying to play? Many older games (1990s – 2000s) predate standard TCP/IP technology and use much older IPX/SPX protocols. Famous examples of such games include Diablo, Red Alert 2, Quake, Duke Nukem 3D or Age of Empires 2. These are still playable after you assign an IPX/SPX protocol to your Local Area Network. 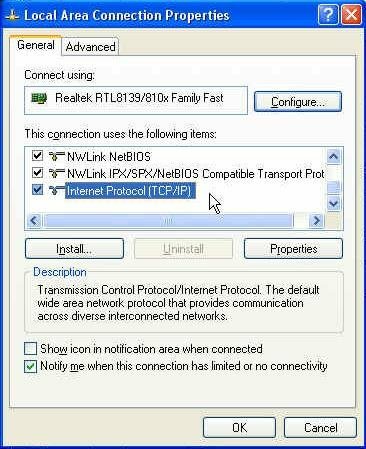 Q: Is there a way to connect multiple computers without using Network Adapters / Network Cards? A: Yes. Look for USB to Ethernet Adapters, which function as detachable USB network adapters. Simply install their drivers, connect and you’ve got a portable network card. This is an excellent choice for laptops or other machines with malfunctioned or otherwise unusable network cards. You’ll still need a router and cables, though.